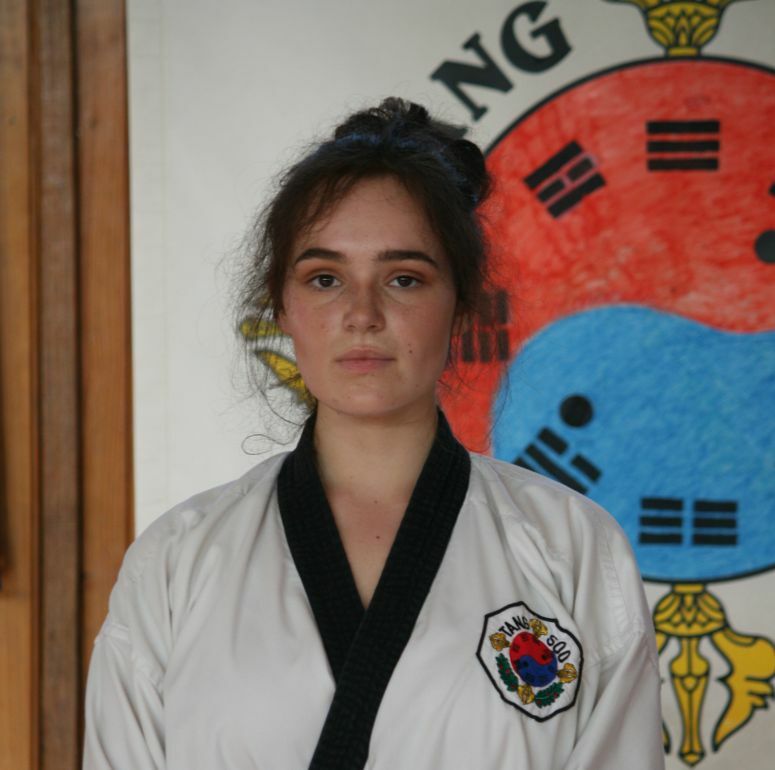 Sofia began training at Tang Soo Tao when she was 6 years old. Inspired by a classmate’s show ‘n’ tell, where he presented his karate gear she wanted to start lessons straight away. Starting as a source of fun, as Sofia trained longer she found herself motivated by the challenges of the learning experience. She says “not only is it a source of physical fitness, it challenges me mentally too. As a young girl entering high school I had many concerns and doubts about myself, and entering the Gup classes as well as beginning to train for 1st Dan helped me gain confidence in myself and in my abilities. Now as an 18 year old young woman, Tang Soo continues to be a place of reflection and an escape from everyday worries as I train. I see my training as a strategy in how to approach all aspects of my life; with confidence, determination and purpose. I believe the lessons I learn in Tang Soo will benefit me as I enter new stages in my life. Lessons I hope I can help pass to my students and inspire the next generation of young Dan’s to approach everything in their life the way they do with the challenges they face in training”.